Raynaud's phenomenon is the result of over-sensitive blood vessels in the body's extremities. In many cases, no cause is identified, although it's sometimes linked to other health conditions. The most common form of Raynaud's is primary Raynaud's phenomenon. This means the condition occurs by itself, without being associated with another health condition. 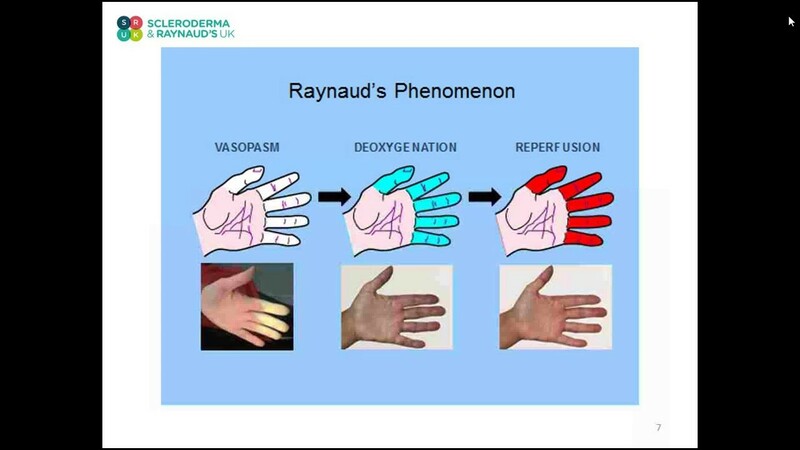 It seems that primary Raynaud's is caused by disruptions in how the nervous system controls blood vessels. Exactly what causes these disruptions is unclear. There's some evidence that primary Raynaud's may be an inherited condition, as cases have been known to run in families. In some cases, an underlying health condition could be causing the blood vessels to overreact. This is called secondary Raynaud's. The majority of cases of secondary Raynaud's are associated with autoimmune conditions, which cause the immune system to attack healthy tissue. Why do people get Raynaud's? The cause of the condition is still unknown and we're still not sure why some people get Raynaud's, while others don't. What we do know is that the attacks themselves can be triggered by a change in temperature, emotional changes, stress, hormones or sometimes can be caused by using vibrating tools. Raynaud's cannot be passed from one person to another and is not a contagious condition. Who is likely to get Raynaud's? Primary Raynaud's is more common in young women and girls, but both forms of the condition can affect men and women, or children, of any age. Many people with Raynaud's have never seen a doctor about it. If you or someone you know suffers from cold hands or feet regularly, it is always worth getting it checked out. There are excellent Raynaud's phenomenon treatments that can relieve the symptoms, and conditions causing secondary Raynaud's may need to be excluded. Around 1 in 10 people with primary Raynaud's go on to develop an autoimmune condition. Carpal tunnel syndrome. This condition involves pressure on a major nerve to your hand (median nerve) producing numbness and pain in the affected hand. The hand may become more susceptible to cold temperatures and episodes of Raynaud's.